What is the new way to interact with Oculus Rift headset? It is Oculus Rift VR Glove. Oculus Rift working on new ways to bring your hands on VR technology gloves, if you wear those gloves you can type on a virtual keyboard, draw and play games on VR world. Experience the VR world with Oculus Rift Gloves. Controlling VR is aiming to designed microsensors which can detect small inertial changes to track your hands, arms, and fingers. It will make you feel like a spiderman on working with Oculus Rift gloves. The Rift VR Glove was showed off by Mark Zuckerberg recently. The glove will let the user use the fingers to paint, type in virtual reality, etc. 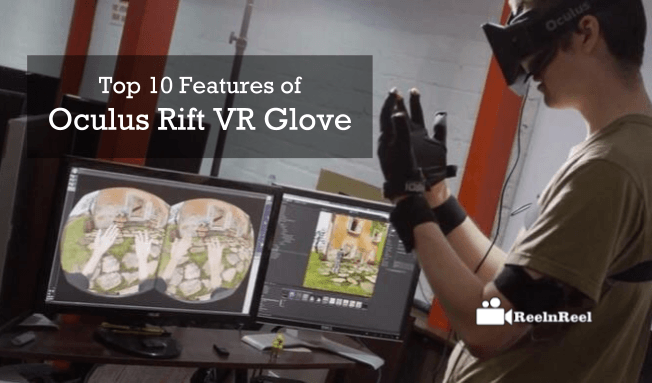 Here are the top 10 features of Oculus Rift VR Glove. They have slim form factor. The gloves position is sensed by the OptiTrack Prime 17W cameras. These gloves fit over the hands and appear like mechanical exoskeletons. The Gloves are attached wirelessly to Oculus VR headset. The moving of gloves real time will project images to the user. Manus VR Glove is the first interactive glove in VR world, and it is available for pre-order now. Wearing the gloves will allow typing on the virtual keyboard. Oculus does not support the augmented reality, but Mark referred to it. The touch controllers released previously by the company did not offer the flexibility and dexterity. The oculus rift VR gloves focus on advanced optics, eye tracing and mixed reality. Typing in VR with Oculus Rift with Gloves expands the usage of the device from gaming and entertainment into enterprise and business use cases. Gloves help Oculus realize the dream of VR presence, and there would is nothing to remind the user that they are not in the fantasy world. Oculus Rift introducing new Gloves which will lead you to experience the world of virtual games while playing with gloves. When working with these gloves, you may feel like flying like spiderman and enjoy the experience of Virtual, Augmented reality world. The above guide leads you to know ten impotent and best factors about Oculus Rift VR Gloves.